ABB’s UPS innovation is enabling manufacturers to integrate technology designed for clean rooms with dusty production floors. 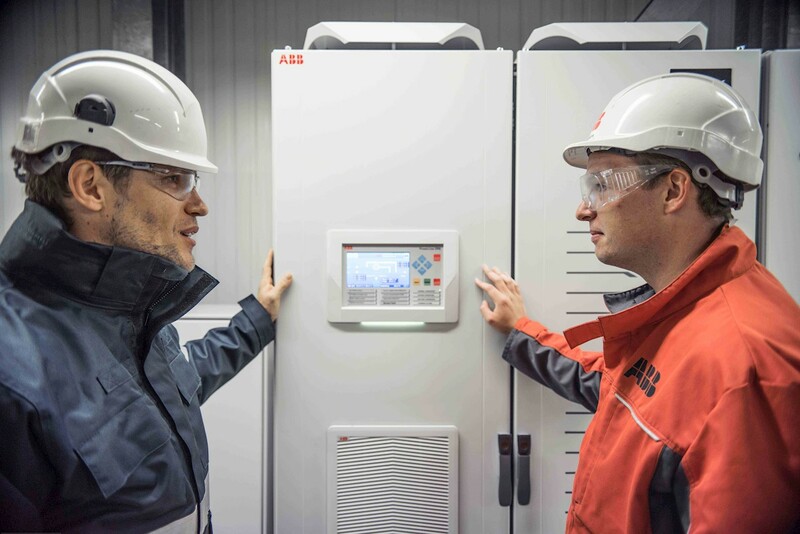 At a PVC plant in Belgium, ABB has demonstrated how true innovation can overcome emerging challenges, creating a new type of UPS device for industrial environments. Inovyn, operating in Jemeppe-sur-Sambre, is Europe’s largest producer of PVC, manufacturing 475,000 metric tons of the synthetic plastic polymer every year. The Inovyn factory relies on a computerized distributed control system (DCS) to control all its equipment. 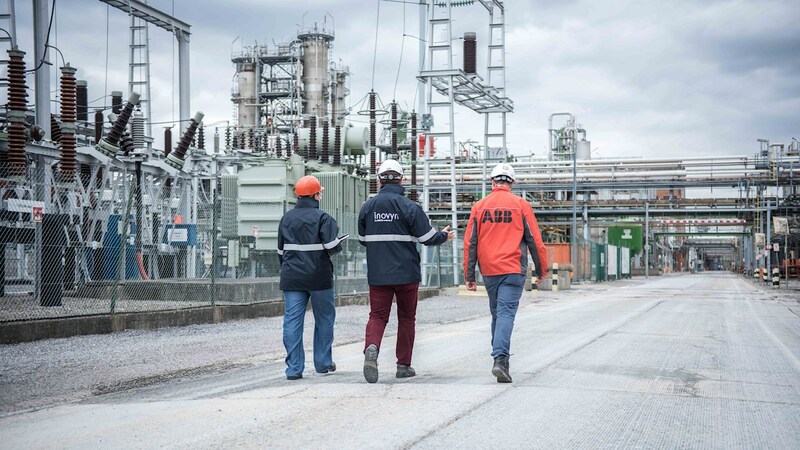 PIERRE HENVEAUX – Electrical engineer and Head of the HV and LV Electrical Sector, Jemeppe-sur-Sambre and SIMON LAMSENS – UPS Sales Engineer ABB in front of the PowerLine DPA. So, Inovyn called on ABB, its technology partner for nearly two decades, to come up with a UPS device, one that would tolerate factory-floor conditions while remaining highly reliable. ABB understood that the needs of production plants are different from those of data centers. Therefore, the ABB team had to adapt the technology that was available for data centers to the extreme conditions often found in industrial applications. The result was the birth of the PowerLine DPA UPS. For Inovyn, ABB equipped its DPA UPS modules with a solid housing protected by filters. “Here you have filters, condensers, fans and more that make up a system enabling the UPS to last 10 to 15 years” Lamsens says.